Once you’ve completed at least six months of lessons, you’ll receive a diploma detailing your level, progress and participation rate. This diploma is a state-recognized certificate if you choose to learn using one of our PRO offers. 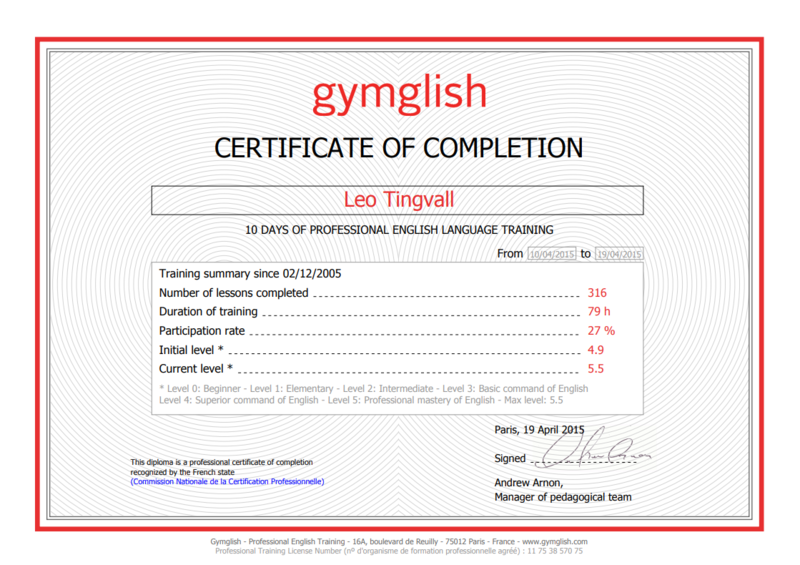 Gymglish Certification, like other English qualifications such as BULATS and TOEIC, is officially recognized in Europe as a professional English certification by the French Commission Nationale de la Certification Professionelle (CNCP -Fiche 15). Frantastique Certification is officially recognized in Europe as a professional French certification by the French Commission Nationale de la Certification Professionelle (CNCP -Fiche 3518). 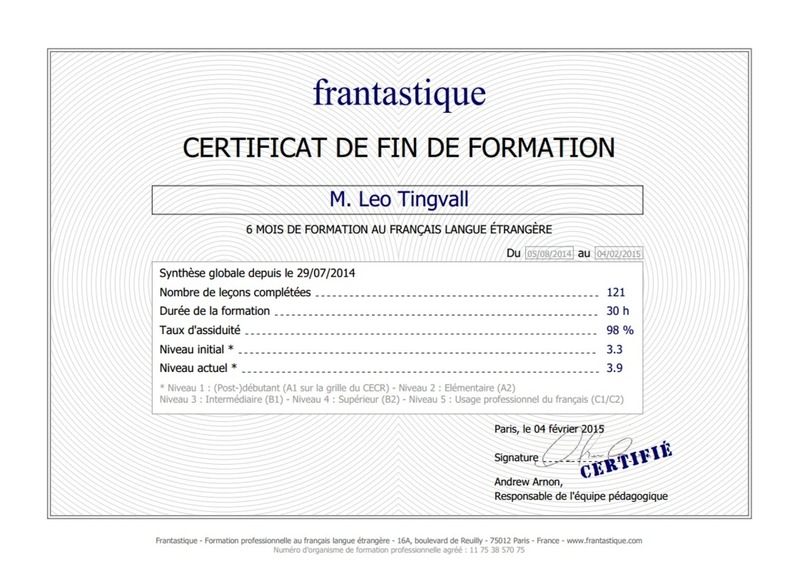 Both, Frantastique versions (Français Langue Étrangère and Orthographe & Expression Écrite) are certified. Please note that Frantastique also exists for native French speakers. My answers to the questions on the audio have not been taken into account in my score! How can I type accented letters?